Located on the University of Iowa campus in Iowa City, Aspire at West Campus offers one- and two-bedroom apartment homes for graduate students and faculty at UI and other institutions of higher education. Your Aspire apartment home features a spacious floor plan, hardwood inspired floors, modern cabinetry and upgraded appliances including refrigerator/freezer with ice maker, glass top range/oven and dishwasher. Enjoy complimentary cable and internet, the security of limited access entry, as well as the very best in on-site amenities, from a 24-hour fitness center and clubhouse to a dog park (yes we are pet friendly!) and walking/biking trails. Our West Campus location cannot be beat, with a CAMBUS stop and easy access to Mormon Trail and Coralville Strip Nature Trail which lead directly to Hawkins Drive and the UI Hospitals and Clinics, UI schools of Law, Medicine and Dentistry, and Kinnick Stadium. We’re also just minutes from I-380, I-80, downtown Iowa City, Coralville and Coral Ridge Mall. Call today and let us welcome you home to exceptional Iowa City apartment home living at Aspire at West Campus. Our resident recognition says it all. 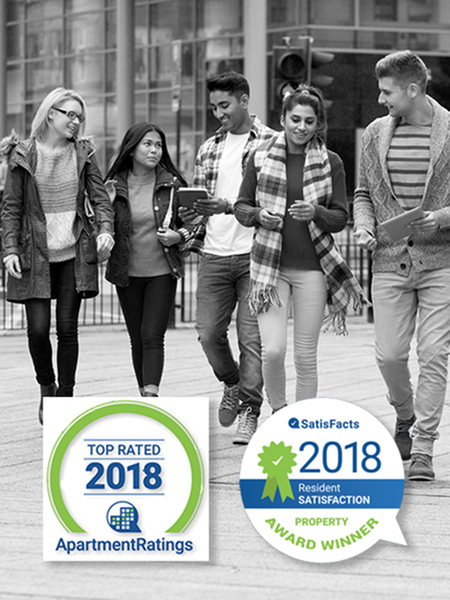 Aspire at West Campus is one of the highest rated communities in the area. We work hard to deliver an exceptional living experience and it shows! 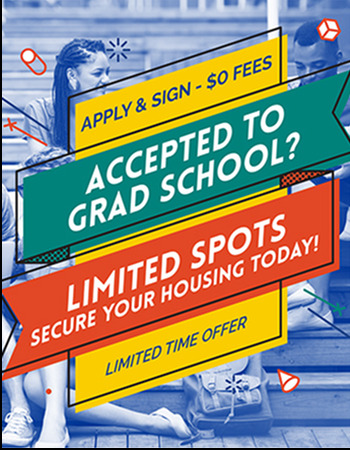 On campus graduate student housing. Limited spots available for Fall 2019/2020 school year. Get wherever you need to go with a bus stop right at your doorstep.